Till late evening of July 2, hash tags like #Worldsno1greendriveinMP and #MPplants6croretrees were popular on Twitter’s trend list. There were plenty of tweets appreciating Madhya Pradesh chief minister Shivraj Singh Chouhan’s bid to create Guinness World Record by planting six crore saplings to protect river Narmada. 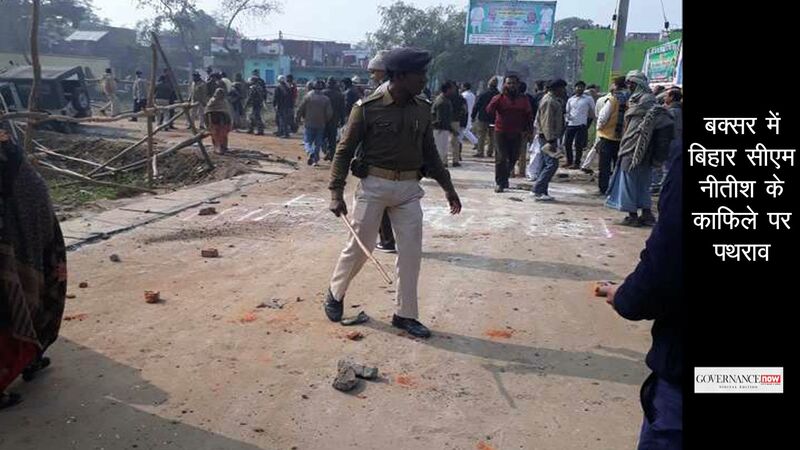 The residents of Umarwada, a village in Mandala district of Madhya Pradesh, too participated in this drive, but they were not aware as to why they were given saplings. The Narmada river basin is more than 50 km away from this village. 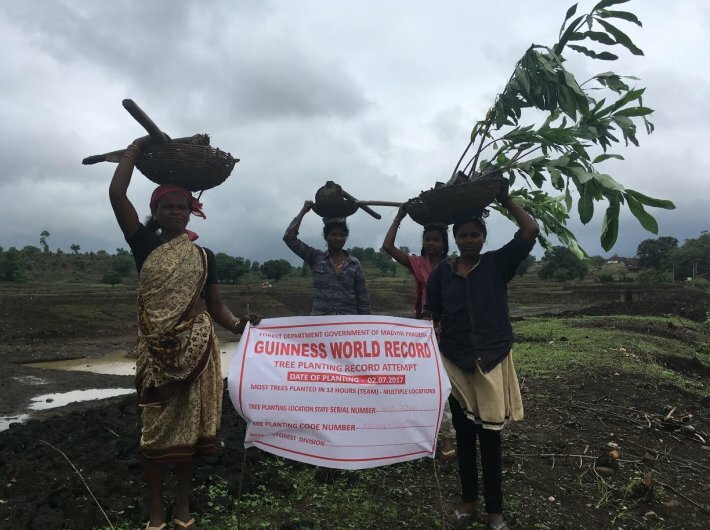 “Sachiv (gram panchayat secretary) called me in the morning, gave 30 saplings and asked to plant them near the pond and the road outside our village,” says Radha Bai, as she stands beside a banner reading ‘Guinness World Record, Tree Planting Record Attempt’. Radha Bai is assisted by three school going girls Anjali, Manwati and Anamika, who were equally unaware of the drive they were part of. They cannot read English so the banner was of no use to them. Similarly, there were other women and young girls who were seen struggling to dig holes on the rocky road side and could not tell why there were asked to do so. Interestingly, men were not seen doing the task. 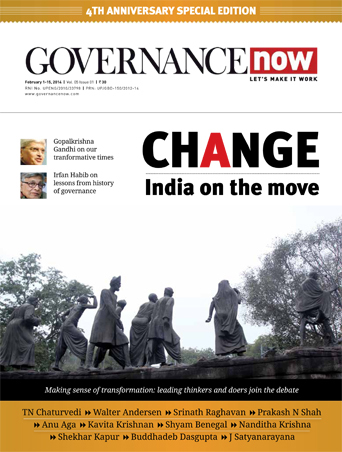 “Men are busy in the field,” 17-year old Kalpana Durve told Governance Now. When the village girls were asked what they have read about plants and trees in school books, they did not say anything. Still they were able to recognise few saplings like mango and eucalyptus. For Durve and other girls, planting of saplings was an activity that would fetch some money. They skipped a day’s field work to get almost Rs 100 for the task. “Earning Rs 122 simply for planting is not a bad deal,” says Durve. The women were doing the task under Mahatma Gandhi National Rural Employment Gurantee Act. Sasikumar Desaj, gram rozgar sahayak, was seen guiding these women to plant saplings at almost 10 metres distance. “This is a unique initiative by the MP government for which we were trained almost a week back. Job card holders who have participated will get Rs 168 or less than that as per their labour cost,” says Desaj. What makes this drive unique is that a plant protector has been assigned for every 200 plants. But, the plant protector was nowhere to be seen.